A South Roscommon man will become one of the first married men to officiate at Catholic church ceremonies such as weddings in his local parish from 2012. Willie Gacquin from Curraghboy, decided to respond to a pastoral letter from Bishop Christopher Jones in 2008, in which he stated his intention to restore the diaconate. Once he completes his three years of training, Willie can preside over services other than the Mass, such as funerals, baptisms and weddings. He can also read the Gospel and preach at Mass. He won’t, however, be able to hear confession or give the sacrament of the sick. “Deacons have one foot in the sanctity and one foot in the world... It’s not another layer of the clergy, it’s an opportunity, in a less formal way, to be a part of the church. 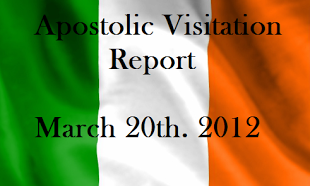 I think it’s a very positive thing for the church,” he explained to the Westmeath Independent. There will also be a strong community role for Willie as a deacon and he will be able to help out in day-to-day parish life and matters. Willie, a secondary school teacher in CBS in Roscommon town, has always been involved in his parish, from being a member of the parish council to reading at mass and being a Eucharistic minister. He said that friends, neighbours and parishioners from the Church of St Brigid’s in Curraghboy were becoming increasingly curious about his new role in the parish. He said that parishioners will be fully informed of a deacon’s role before they start working. If a single man becomes a deacon, then he has to take a vow of celibacy. If a married man becomes a widower, then he too must take the vow. 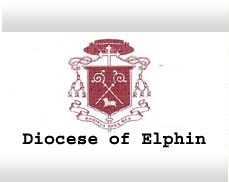 The diocese of Elphin and the diocese of Dublin are the first to introduce the initiative. Becoming a deacon involves academic study, as well as spiritual and academic achievement. Wille, along with six other men from the Elphin diocese, is currently in his second year of training. He spent a number of weekends studying in the Emmaus Retreat Centre in Dublin. From 2009, the three-year training programme began and the seven men are now in their second year. They attend St Angela’s college in Sligo for 15 weekends out of the academic year. It’s a big commitment, but in turn the Church then knows that each man is committed. “It’s a whole new thing, it’s very exciting,” added Willie, soon to be Deacon Gacquin.